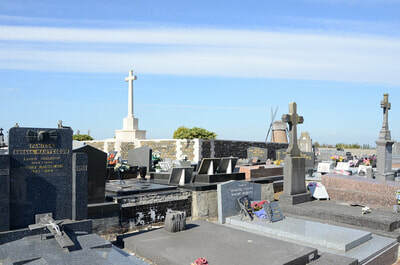 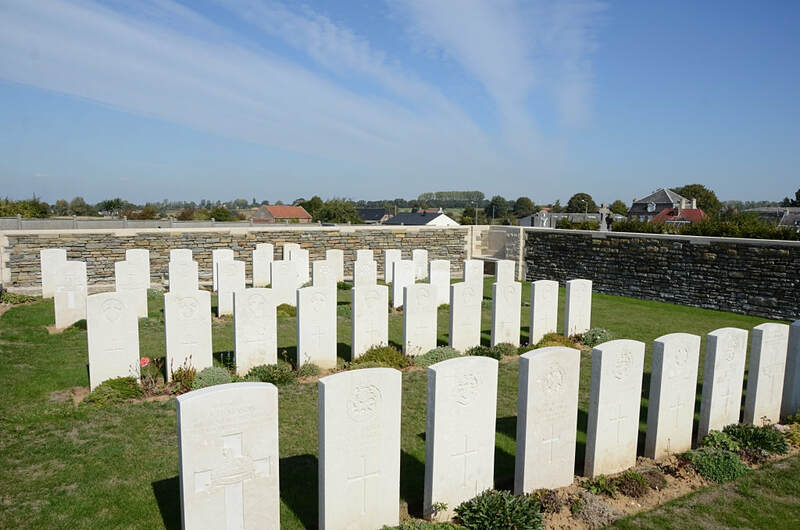 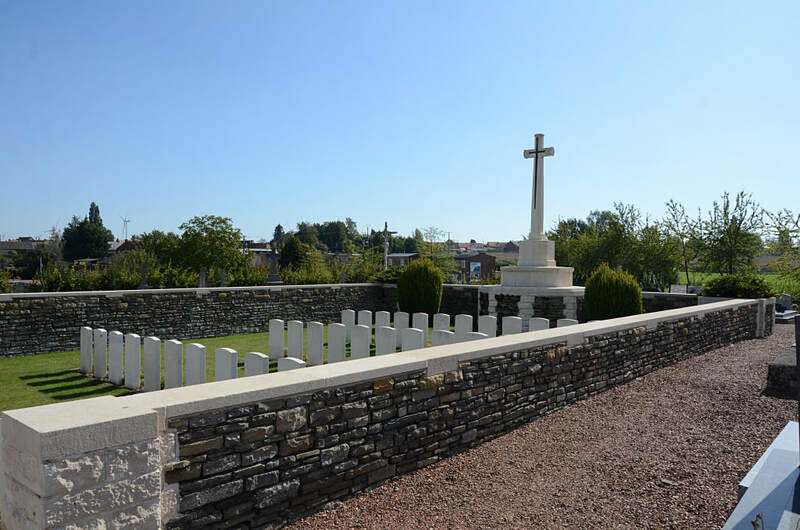 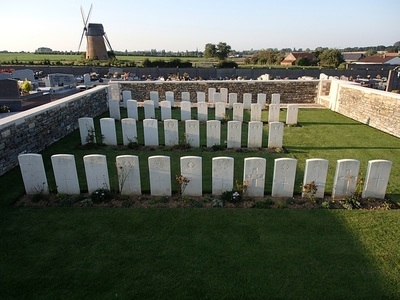 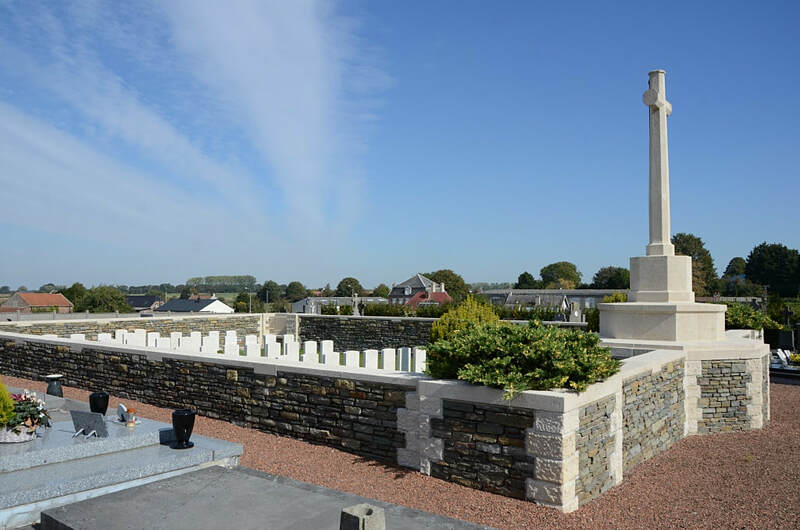 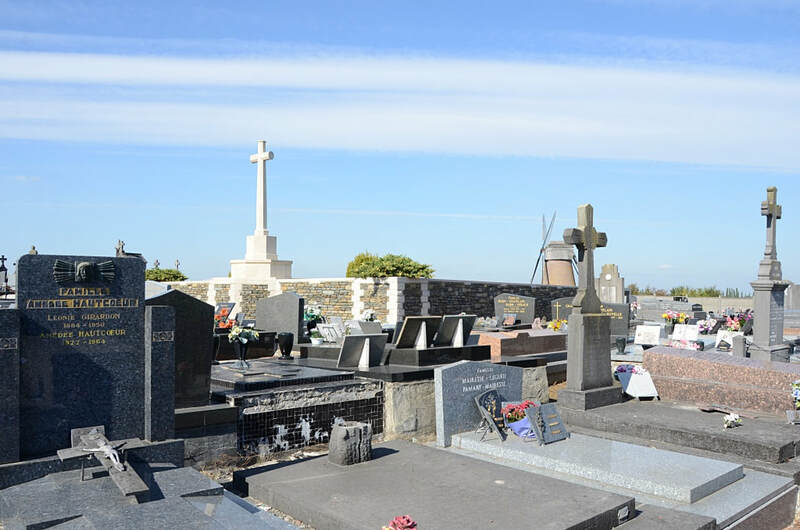 The Extension lies within the Communal Cemetery which is on the left hand side of the road before entering the village from Cambrai. 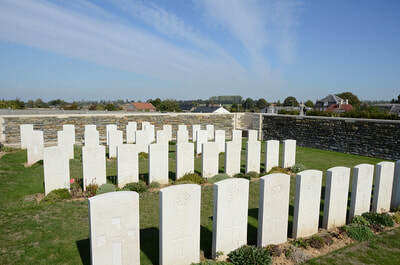 St. Vaast Communal Cemetery Extension was made by the Guards Division in the latter half of October 1918, after the capture of the village, when they buried 31 of their officers and men in Rows A, B and C. Row D was added after the Armistice when graves were brought in from HASPRES COMMUNAL CEMETERY GERMAN EXTENSION. 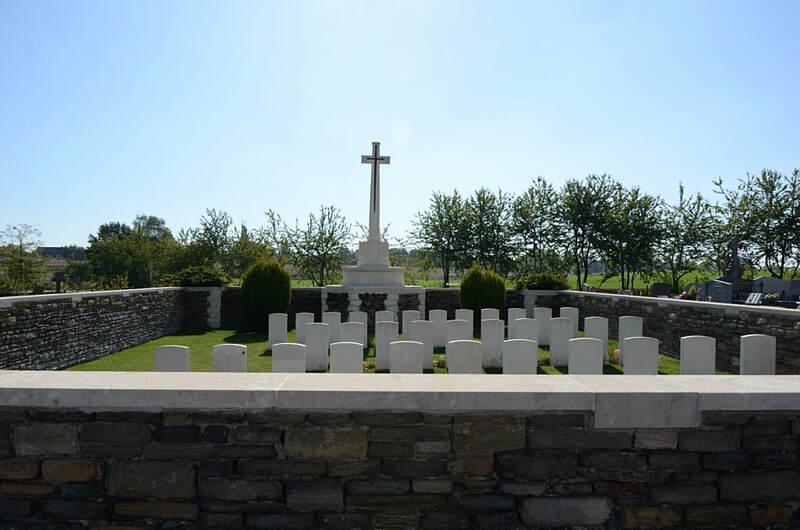 The extension contains 45 burials and commemorations of the First World War. 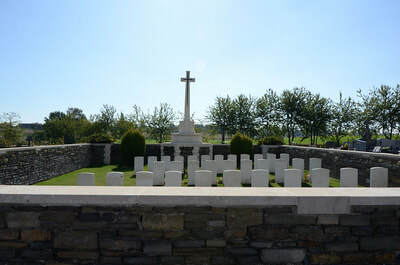 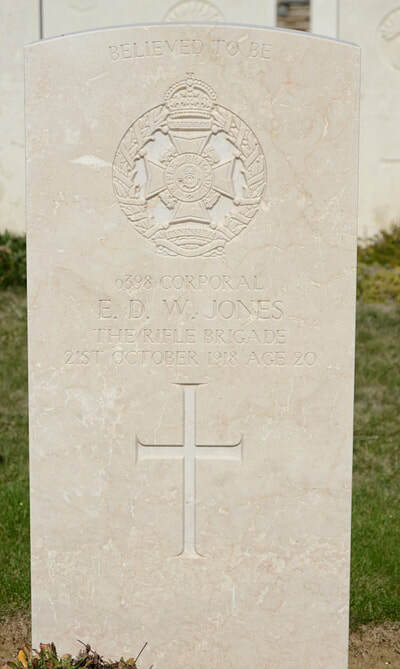 One of the burials is unidentified and there are special memorials to two casualties buried in the German extension at Haspres, whose graves could not be found. 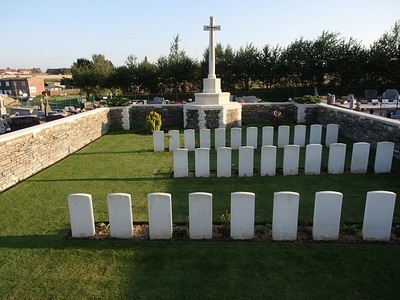 Casualty Details: UK 45, Total Burials: 45.